Be the first to see the world premiere of August Rush, a never-before-seen musical based on the original motion picture. Evan Taylor, an 11 year old orphan, believes in music like some believe in fairytales. In a cruel twist of fate, Evan’s mother, an accomplished classical cellist, and his father, the lead singer of a rock band, don’t even know he exists in this world. Even after so many years gone, Evan has not given up hope as he relentlessly searches for the parents he knows need him. Quickly discovering he too is a musical prodigy, Evan surrenders himself to the symphony of sounds and follows the music. In this inspiring love story, music is everywhere, but will it lead Evan home? The moving story of August Rush is brought to the stage in Paramount Theatre’s first new musical. We invite you to be a part of history and join us for this world premiere. Before the show we will enjoy lunch catered by Enticing Cuisine in the beautiful ballroom and then walk right across the street to enjoy the show. Quaint seashore beauty comes alive on your bus trip to Cape Cod & Martha’s Vineyard. Your Cape Cod bus tour takes you from rustic, pristine beaches to quaint villages with iconic lighthouses. Visit the John F. Kennedy Hyannis Museum and see Hyannis’s outdoor John F. Kennedy Memorial. Stroll along the streets of unique Provincetown, a historical and lively shopping and dining haven. Guided tours take you from Hyannis to Chatham to Sandwich and more. A highlight of your Cape Cod bus trip is a visit to the famous getaway island, Martha’s Vineyard. 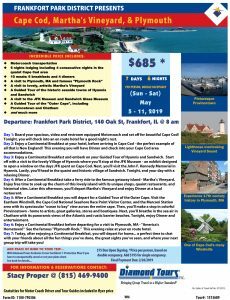 A bus tour to Cape Cod and its beautiful seashore is an unforgettable group trip! Trip insurance is available and recommended – prices vary depending on occupancy ($59 triple, $59 double and $69 single per person) Please write a separate check payable to “Travel Insured International, Inc.” or pay it online at www.travelconfident.com Limited space available on the bus; don’t wait to register! 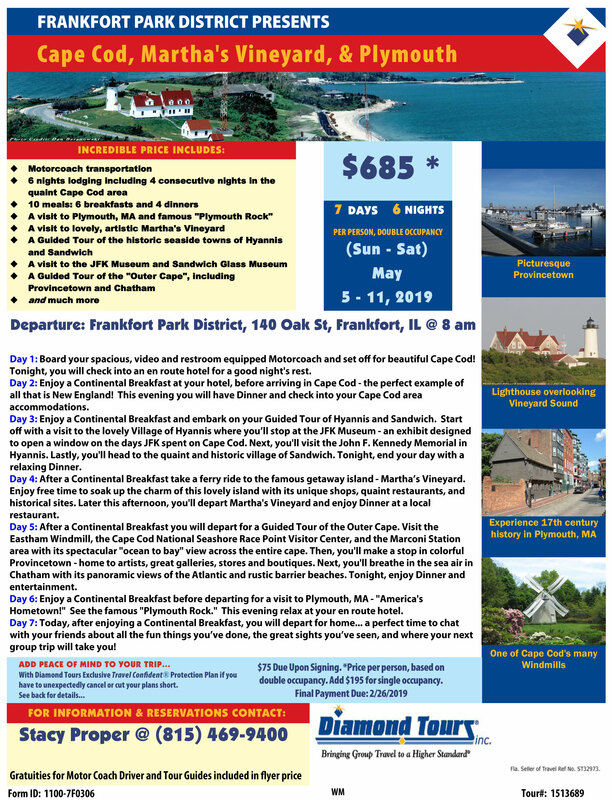 Click Here to download the Cape Cod & Martha’s Vineyard flyer. The Volo Auto Museum consists of over 33 unique exhibits, some that can’t be found anywhere else in the world! The museum showcases cars and motor vehicles from the classics to stars of the stage and screen. Highlights include the Duesenberg room, Military exhibit, Vintage Campers, TV and Movie Cars, Disney Gallery, Cars of the Rich and Famous, Vintage Cars, Warner Bros. Collection, Bizarre Cars and so much more! After your self-guided tour of the auto museum, head across the lot to the Volo 4 antique malls featuring 400 dealers selling a wide variety of antiques and collectables. A small cafeteria is available for lunch that features an animatronic show, much like the ones that dominated the pizza industry during the late 70’s through the early 90’s such as Pizza Time Theater, SHOWBIZ and Chuck E Cheese. Lunch is on your own. The Sanfilippo ‘Place de la Musique’ is a private museum known for its collection of antique music machines, including phonographs, player pianos, fairground and band organs, calliopes and a large theater pipe organ. There will be a guided three-hour tour of this amazing museum, followed by dinner and dessert at Chessie’s Restaurant. Meal choices are roast loin of pork with mashed potato and vegetable medley, chicken parmesan served over linguine with marinara sauce, parmesan crusted tilapia served with rice pilaf and vegetable medley or baked penne pasta complimented with roasted vegetables. Please plan for a lot of walking. There are places to sit along the tour. Fair Oaks Farm is an escape to the country with acres of great food, learning, fun and an experience you will never forget! Visit the birthing center where you will see a live birth of a cow or pig. Learn about the future of farming, protecting the environment and caring for the animals while ensuring the highest quality products possible. During our tour, lunch will be a buffet option of Roasted Pork Loin including Garlic Mashed Potatoes, Buttered Corn, Rolls, Coffee, Tea and a single scoop of ice cream at “The Farmhouse” their fine dining restaurant. A visit to the gift shop to purchase some great cheese and chocolates for the ride home will be our final stop. Join us as we set sail on a two-hour cruise on Lake Michigan with skyline views and enjoy a buffet lunch. Take in a truly engaging show, featuring live performances from sing-along show tunes to timeless jazz standards. We’ll keep the festivities flowing with cocktails from our cash bar, a delicious buffet and a few fun facts about Chicago’s famous skyline along the way. Come join us at the French Lick Resort, one of the Midwest’s Premier Resort Destination. Nestled among the hills of the Hoosier National Forest resides a classic American destination – French Lick Resort & Casino. (rated No. 4 Best Casino outside of Las Vegas by Yahoo Travel). The resort is sure to exceed your expectations! On our way we will experience the thrill of the Indianapolis Motor Speedway & Museum, including a ride around the infamous track. Come experience Old World opulence amid modern comforts served with Midwestern charm at the French Lick Resort. With a morning of free time to explore all that is offered. In the afternoon take a 25 mile scenic train ride and later enjoy wine tasting at the French Lick Winery. Plenty of time to give Lady Luck a try in the evening. We will also spend a day exploring Louisville, a city that combines heritage with innovation, authenticity with originality and friendliness in a way that’s completely unique. Discover one-of-a-kind attractions like the legendary Kentucky Derby Museum at Churchill Downs, Louisville Slugger Museum & Factory, and the Muhammad Ali Center along with dinner before heading back to the French Lick Resort. On the way home we will stop for lunch and have a quick stop at the Albanese Candy Factory Store for your shopping pleasure. 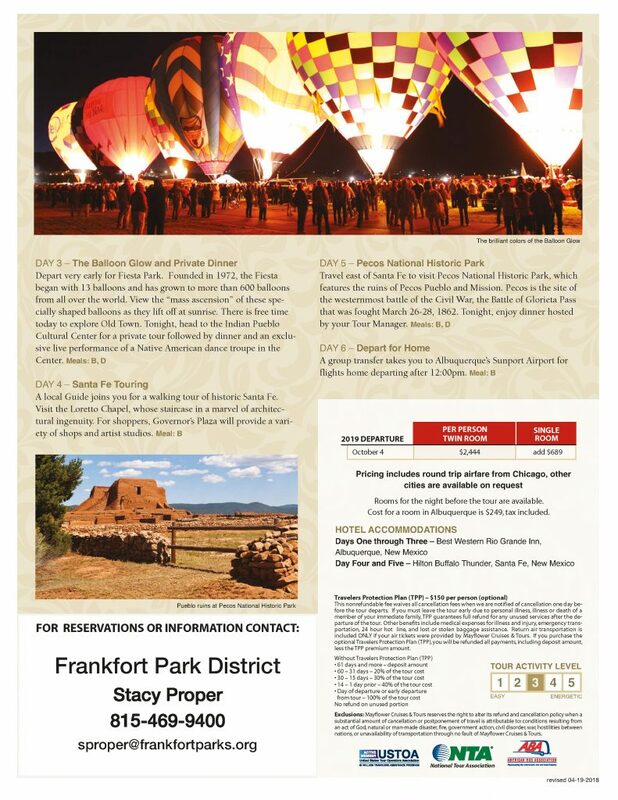 Fee includes all attractions listed, 3 nights lodging and 6 meals (3 Breakfasts & 3 Dinners). Trip insurance is available for $59/person (highly recommended) made payable to Many Destinations Travel. Castles, Pubs & Rails, Oh My! Train enthusiasts, garden lovers, arborists, castle lovers, throne-ies and aficionados of unusual homes unite. We have the group tour for you! First, visit the grounds of the Wandering Tree Estate, the home of the “Train Lady,” Elaine Silets. You will see two very large and elaborate model railroad layouts. The Gloree and Triumphant Garden Railway runs on over 10,000 square feet of land. Large G Scale trains pass through bridges and over waterfalls. See the Japanese Garden that grows thousands of begonias and is complemented by a charming gazebo overlooking the lake. Then head inside into the Harvey Silets Memorial Chicago Model Railroad Museum. This intimate indoor train museum has O Scale trains that run through a city of Chicago replica. Our group will then stop for lunch at the Onion Pub & Brewery built from recycled timbers that pre-date the American Revolution. From the pub to the castle – Bettendorf Castle. The extraordinary, one-of-a-kind Gothic-style castle established in 1932 hosts grounds tours and features dozens of magnificent mature oak trees, landscaping that overlooks towers, turrets, a moat, a drawbridge, a dungeon, fountains and spacious yards. 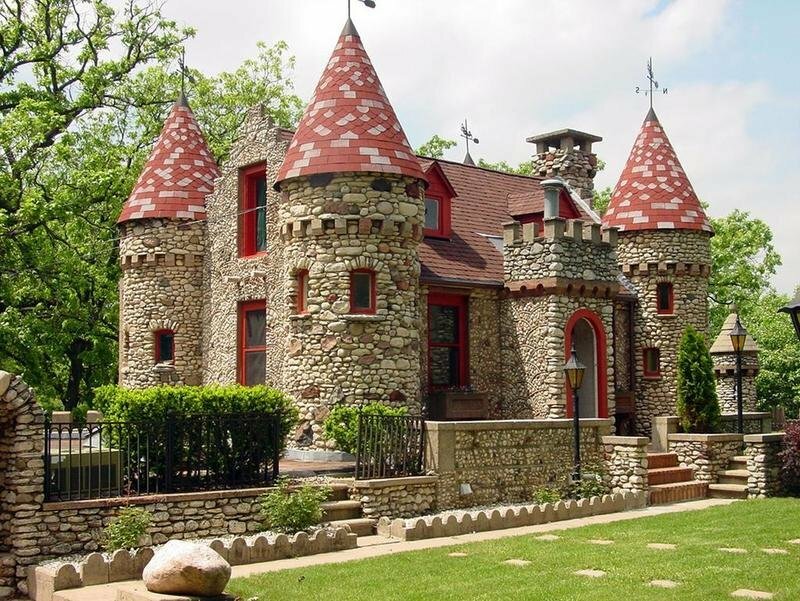 The current residents tell you the history of how Teddy Bettendorf took 36 years to build this castle by hand. The blueprint of his masterpiece was inspired by his homeland castle of Vianden, Luxembourg. 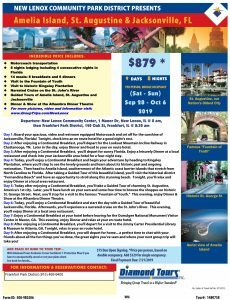 This is a unique trip that you will not want to miss! Please select your menu choice at the time of registration. Express your originality with the artwork you discover at Geneva’s nationally-acclaimed outdoor gallery of juried art. More than 140 artists will show their work from drawing, painting and sculpture to ceramics, glass, textiles and jewelry. All art is available for sale. Afterwards, enjoy time for lunch (on your own) and shopping. Choose from 5-star restaurants, casual bistros and fine chocolatiers to cozy coffee houses, tempting bakeries and gourmet carry-out. You’re sure to satisfy your cravings at one or more of Geneva’s rich variety of restaurants and eateries. Geneva is also a shopper’s paradise boasting over 100 specialty shops, many in historic storefronts and charming Victorian-style homes. With each new season, Geneva merchants fill their shops with exclusive treasures from all over the world. Prairie Bluff Golf Course welcomes Rick Lindy and his band, an international touring group performing Classic Retro Rock of the 50’s, 60’s & 70’s. A musical time machine that takes you back to the days when Rock & Roll was young and the radio waves were transmitting classic American Rock & Roll to the dash board of a 57 Chevy Bell Air. Relive the sounds of Elvis, Johnny Cash, Jerry Lee Lewis, The Beatles, Patsy Cline, The Platters, Tom Jones, Gary Puckett & many other legendary performers. Fee includes a three course plated lunch with your choice of entrée. Roasted Pork Loin with apple compote-A slow roasted pork loin chop, glazed with a fresh harvested apple compote, Champagne Chicken-An Airline chicken, seared and roasted, drizzled with champagne sauce and roasted grape tomatoes or Soy Glazed Salmon-Wild caught Atlantic salmon, seared and glazed with a soy ginger glaze. Chicago’s Gilded Age past might seem a distant memory but not on this tour. Today, the city still boasts many impressive residences dating from before the Great Chicago Fire of 1871 through the early 20th Century, from Prairie Avenue on the south to the Gold Coast on the north. Some look backward, evoking the grandeur of an idealized Europe in Chateauesque and Baroque styles while others look forward to the dawn of Modernism. In addition to visiting some of Chicago’s truly elegant existing mansions, this tour explores some of the lavish lifestyles of the denizens of Chicago’s elite neighborhoods. Following the tour, you will get to experience “High Society” at its best by partaking in the Drake Hotel’s legendary Afternoon Tea Service! Your afternoon tea begins with a peruse of the Palais de Thes menu, which features 17 unique tea blends. Tea is served in individual tea pots accompanied by the traditional three-tiered tea tray filled with an arrangement of gourmet artisanal finger sandwiches; delicious from scratch breads and scones; and dainty petit fours with accoutrement complements of house made preserves, lemon curd and English double Devon cream prepared by pastry chef Claire Crenshaw. For those who love their afternoon teas fresh, colorful and steeped in history, Palm Court at The Drake has been serving tea for nearly a century in the Gold Coast neighborhood of Chicago. Even the Queen and Princess Diana have made their royal visits here. Please list any food allergies at the time of registration. Calling all seniors! Join the park district for a 2-hour pre-game at the White Sox patio area! 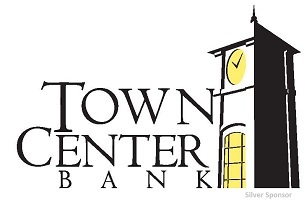 Fee includes: lower level game ticket, bingo, and an all you can eat buffet including: Cajun chicken, fried chicken, hot dogs, BBQ ribs, burgers, salads, unlimited beer, wine and soft drinks. A former White Sox player will be calling the bingo numbers as well! This Thursday game VS Kansas City Royals is also a Free T-shirt Thursday at Guaranteed Rate Field! Departure: 10:45 am from Mokena Park District, Main Park, 10925 W. La Porte Rd. Soak up the age-old splendor of St. Augustine-America’s first and oldest city, and discover Ponce De Leon’s Fountain of youth at the National Archeological Park. Next, explore the coastal island beauty of Amelia Island with a guided tour, time in the historic District and much more! This trip also includes deluxe motor coach transportation, 8 nights lodging and 14 meals. Trip insurance is available and recommended – prices vary depending on occupancy ($69 double, $69 triple and $94 single per person). Please write a separate check payable to “Travel Insured International, Inc.” or pay it online at www.travelconfident.com. Limited space available, so don’t wait to register! 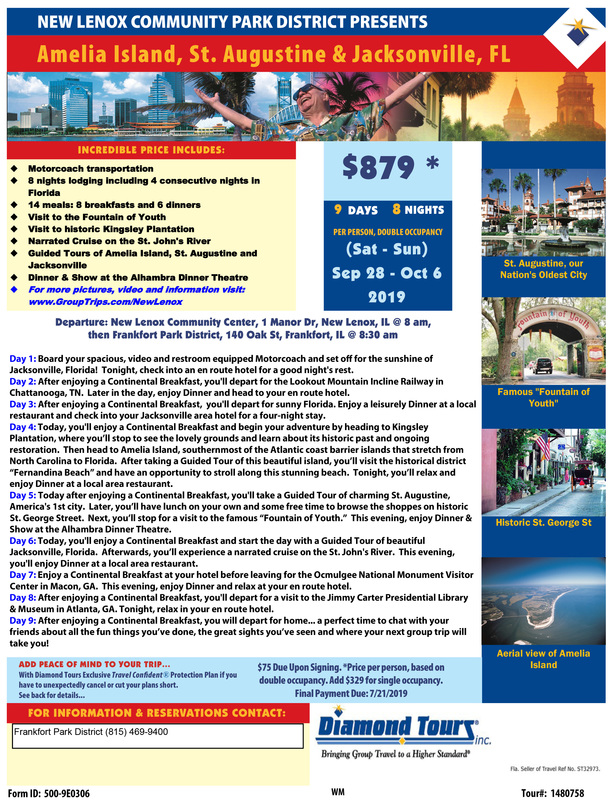 Click Here to download the Amelia Island flyer. Call the Park District office at (815) 469-9400 for additional informational. 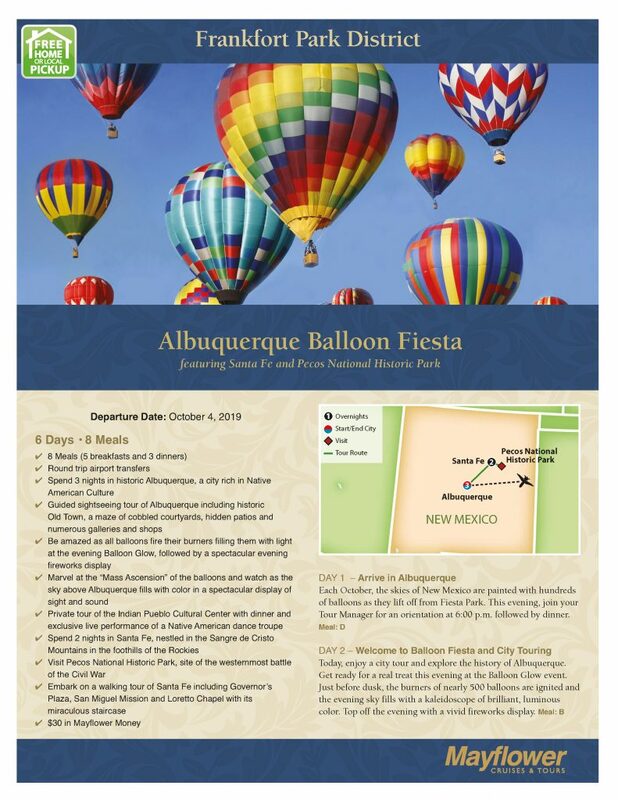 Click Here to download the Albuquerque Balloon Fiesta flyer. Please call the Park District office at 815-469-9400 for more information!